The Boys had a fuckload of Canada Day liquor ready to go for Canada’s 150th borntday, so they figured they might as well combine the occasion with their 100th podcash and really get ‘er goin! 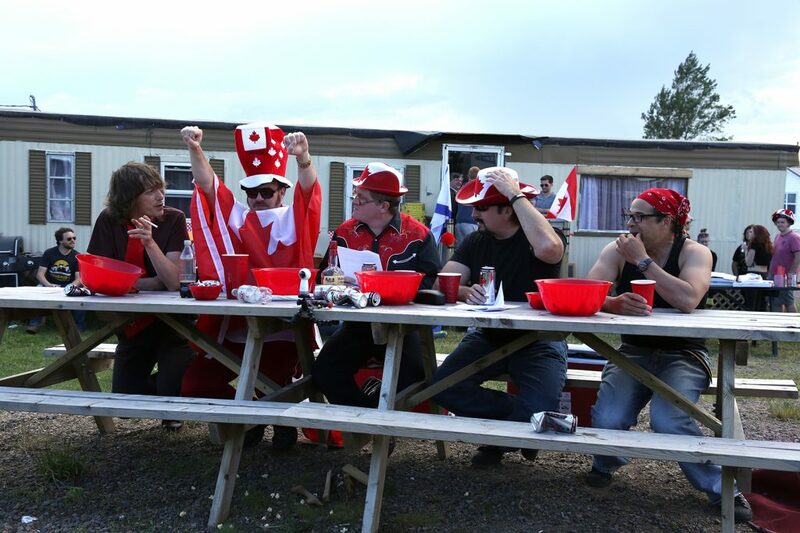 On today’s episode of the Trailer Park Boys Podcast, the Boys are celebrating right in the middle of Sunnyvale and they’re rolling out the red carpet for Trinity, Sarah, Jacob, and Cory. They even invite some of the website and camera dicks in front of the camera! This epic episode of the podcash is brought to you TrailerParkBoysMerch.com!